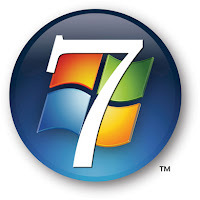 Microsoft is getting ready to release some information about their next version of the Windows operating system, code name "7" (which I blogged about more than a year ago). As a first step, they've started a blog called Engineering Windows 7. The OS will be officially announced and discussed (not released) in PDC08 (Professional Developers Conference) which will be held in L.A. on Oct. 27th. Along with Windows 7, new advancements in the Windows and .Net world (such as "Oslo", the new Service Oriented Architecture, meant to simplify cloud/Web 2.0 application development) and new technologies are expected to be announced. I'm going to be there, to learn as much as I can about the new generation of development tools and get some hands on experience with the new technologies. I'll be sure to report anything exciting I may see (or just post images from the party ).